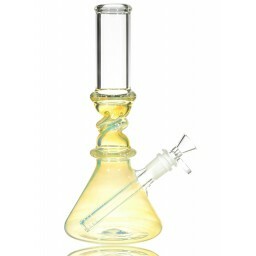 8" Honeycomb Bong - Assorted - Water Pipes -The Greatest Online Smoke Shop! A mini water pipe with a honeycomb percolator! 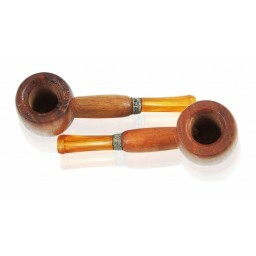 Finally a pipe that is portable and doesn’t give up the advanced functionality like percolations. 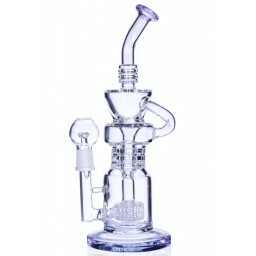 Features a single honeycomb disc percolator. Inline stemless design. Ice catcher notches. The tiny slots in the honeycomb disc act as diffuser slots and diffuses the smoke. This means you can get ultra smooth smokes on the GO. 14mm female joint with 14mm male dry herb bowl. 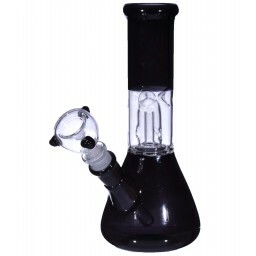 A water pipe glass bong with a honeycomb percolator! That is unseen and rare. 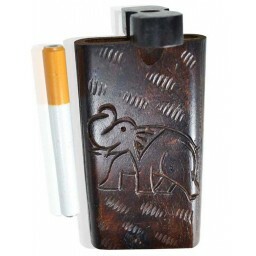 Finally a pipe that is portable and doesn't give up the advanced functionality like percolation's. 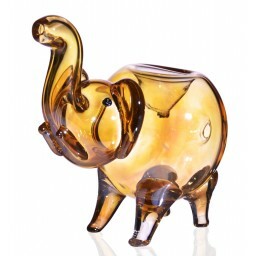 Features a single honeycomb disc percolator. Inline stemless design. Ice catcher notches.. Nice, stable base to prevent roll overs. The tiny slots in the honeycomb disc act as diffuser slots and diffuses the smoke. This means you can get ultra smooth smokes on the GO. .This piece have some minor cracks, Final clearance, No refunds, No Exchange, No complaints. Color and pipe may vary from picture.